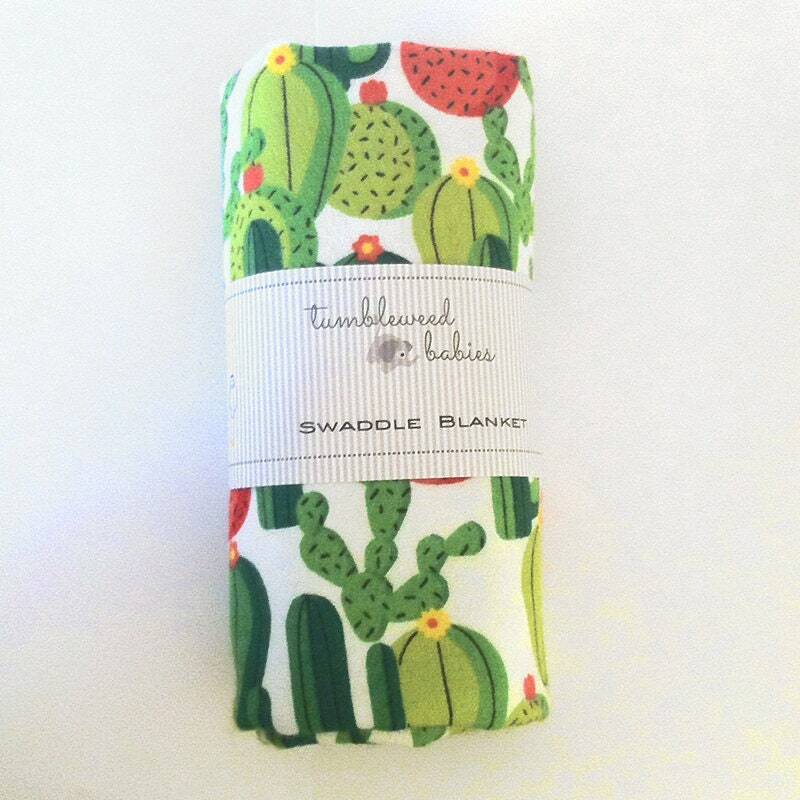 Welcome the new baby into the world with this beautiful cactus print blanket. Single layer, lightweight flannel fabric is very soft - keeps baby comfortable year-round - Perfect for layering in colder months. 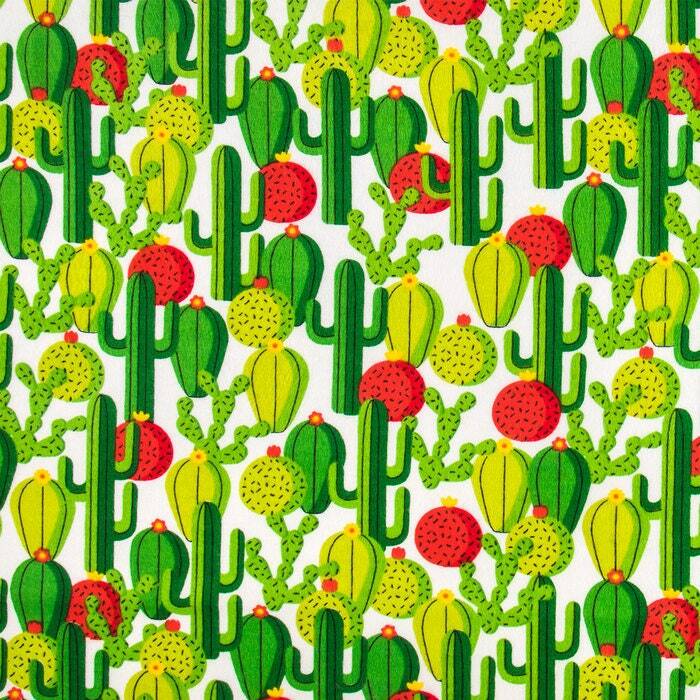 Measures 36" x 42" - ideal for swaddling, impromptu changing blanket or a nursing cover. Finished with a serged edge.